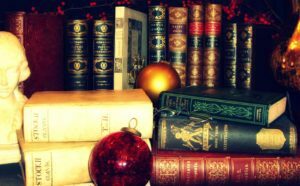 Best Gifts for the Book Lover on your List! It’s the time of year when we agonize over finding the perfect gifts that show our nearest and dearest how much we care. If you have a book lover (or author!) on your list, the Tall Poppies have some ideas for you! Books: (Obviously!) Gift them your favorite titles of 2016, or if you’re not sure what books are up their alley, a gift card to your favorite indy bookstore or big box book vendor will always be appreciated. If your reader prefers e-books or audio, snoop around to find their format of choice. Warm beverages: Premium coffee, tea, or cocoa, along with their associated gadgets (and snarky mugs) find happy homes with readers. Nothing staves off the winter blues like a “cuppa” and a good book! Decadent throw blankets: The chair next to the fireplace is the reader’s natural winter habitat! Help them curl up in style! Bookplates: Is your reader an avid collector? Personalized bookplates or embossing tools that elegantly tag the volumes in their home library are a lovely and unusual gift. Literary scarves, gloves, etc. : New companies such as Storiarts and Litographs have infinity scarves, tees, fingerless gloves, and more with classic texts. If your reader is a passionate Austen fan, you can help her take Pride and Prejudice wherever she goes! Another neat feature of these sites are customizable items… fantastic gifts for authors to commemorate their work! Snazzy book marks and book lights: Fantastic stocking stuffers! Candles: Helps invoke a lovely ambiance for reading. Consider “old book” scented candles or those with flickering wooden wicks for a nice touch! Literary perfume: Yes, this is a thing! There are scents matched with books (A Room with a View and Game of Thrones!) as well as “eau de paperback” and “dead writers perfume” to be found with a simple online search. Book art: You can find beautiful creations made from classic books that will be appreciated on any book lover’s shelf. Some are folded into words, others are carved into designs–all of them are unique and lovely! Is your book lover an author, too? 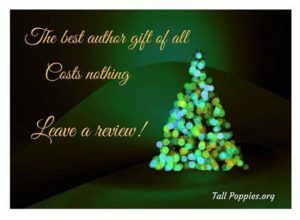 The kindest gift you can give is a review! The feedback on Amazon, Barnes and Noble, Goodreads and other sites make all help your favorite authors gain visibility! So share with us, what other gifts have been hits with your bibliophile friends and family?